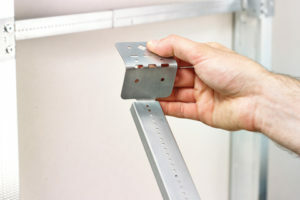 Get your free Britclips® RSWB, a cost effective solution for fixing within stud walls! Looking for a fast, effective solution for fixing within stud walls? The Rapid Sliding Wall Bracket has been voted a ‘Top Product of 2018’ by readers of Professional Electrician magazine. Why not try it yourself and see what all the fuss is about? Yes, I would like to try this handy product for free! Complete the form and we will send a product sample so you can experience how easy and effective our Britclips® RSWB is for your installation. Please enter a valid email address. You will receive an email notification to this address. pairs, simply snap the studs that are 40 to 60 cm / 16 to 24 inches onto studs. RSWB – manufactured in the UK! We are proud to support British manufacturing with our own production facilities here in the UK. The RSWB is manufactured in the Midlands, along with our other Britclips® electrical fixings. The RSWB is part of Walraven’s Britclips® range, an extensive selection of fixings for electrical installations. With over 140 high quality products, including beam clamps, beam clips, cable run clips, threaded rod clips, roof deck hangers and more, Britclips® offer a complete solution. The whole range is manufactured in the UK with high grade spring steel, offering the best choice in electrical fixings!